1/8" Audio Cable, 6 ft. 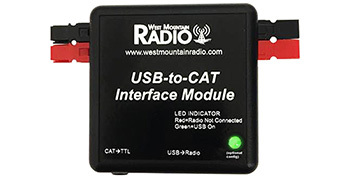 The USB-to-CAT Interface Module is designed to allow equipment, (i.e. TARGETuner) to be connected to radios which only use a USB port for CAT (rig control) such as the the Yaesu FT-891. The device itself converts a CAT datastream from the USB port of a radio into a TTL datastream. It is bi-directional, meaning data flows in both directions.